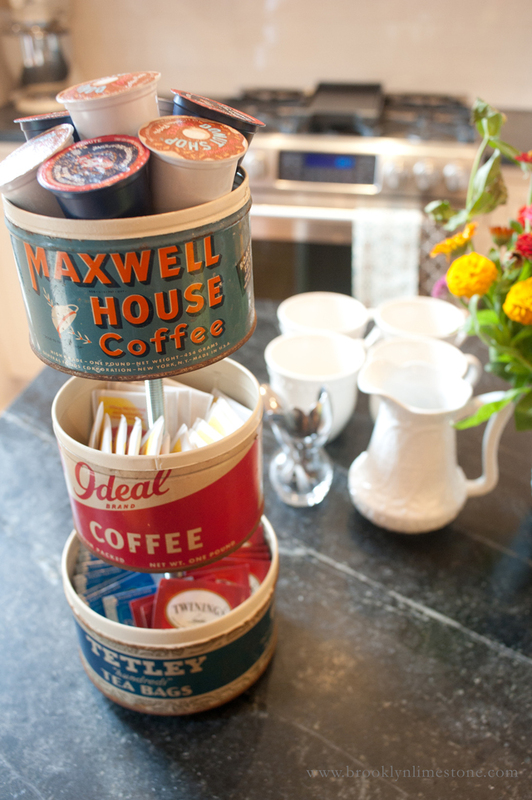 An oldie but a goodie, this was an easy way to repurpose a few great old coffee tins I had picked up along the way. It's easy to do and practical too. Full directions on how to make your own here. Very cool and would make a perfect accompaniment to the caffeination station I already have. It needs a touch of whimsy and this looks like the ticket. Thanks for sharing.